Homeopathic remedies will help a person with high blood pressure to lower it naturally without medications. A blood pressure reading that is 140/90 or higher is considered to be high blood pressure. Both numbers are important. If one or both numbers are usually high, you have high blood pressure. The systolic is the top number, the diastolic is the bottom number. See a medical practitioner promptly if you have these symptoms because they can indicate a dangerously high blood pressure or a complication from high blood pressure. High blood pressure of sudden origin. The person is anxious and has a fear of dying. The condition is aggravated by any tobacco smoking. This is indicated for LOW blood pressure. Blood pressure rises and is caused by anxiety and nervousness. “Stage fright” or anticipation of a stressful event. Dizziness, headache, diarrhea and a pounding pulse. Warm-blooded. Person is imaginative, impulsive, claustrophobic and can have cravings for both sweets and salt. Aggravated by sweets. Treats high blood pressure due to disturbed function of the nervous mechanism. Cardiac muscle is under strain and the beating of the carotids can be seen. Heart murmurs. Loss of loved one, business reversal, depression. Perfectionists who worry they have failed in their duty. For high blood pressure in the elderly 50 yrs and older. High blood pressure associated with hemorrhaging. The person has a flushed face, dilated pupils and an accelerated pulse rate. There is violent throbbing of the temporal arteries. This remedy is used in the treatment of secondary hypertension that is aused by kidney disease. People with high blood pressure who get tired easily and have poor stamina. Responsible workers who feel overwhelmed when ill. The fear a breakdown. Palpitations and breathing problems worse from walking up stairs and also when lying down. Chilliness with clammy hands and feet, except in bed at night the feet may. Perspiration on the head during sleep . Cravings for sweets and eggs, and tend toward weight problems, obesity and easy weight gain. Used 3 times a day as the recommended dose for helping to keep the arteries soft. This remedy helps to clean out the arteries by removing what is stuck the the artery wall. Used in a 30C if the heart is slowed. Used in 3X is heart is irregular with missed beats. Blood pressure is aggravated after receiving bad news. Treats the emotional trauma. A flushed face with a pounding headache. Visible throbbing in the blood vessels of the neck. Chest can feel congested or hot, with a pounding or irregular heartbeat. Worse after moving around. Worse from heat and sun exposure. Worse from drinking alcohol. A feeling of “being lost in a familiar place” is a strong keynote for this remedy. A sudden rush of blood goes to the head when out in the sun. Ignatia treats high blood pressure caused from emotional upset, grief or a broken heart. The person is acting hysterical from grief. This remedy is used for high blood pressure arising at menopause. Heavy head after waking or a nap. Easily jealous and envious of others. Thrombosis of the left leg and other left sided symptoms are common. Both systolic and diastolic blood pressure readings are normally high. The person acts jealous, malicious and is very loquacious. Used when blood pressure goes up when one goes to the doctor. In the blood pressure readings, the diastolic reading is more raised the systolic. Kidneys are involved. Anger issues. Competitive but with a fear of failure. Reserved and responsible person with strong suppressed feelings of grief, disappointment, anger, past grudges. Fear of misfortune is often held inside. Headaches and palpitations. A feeling of tension even coldness in the chest. Worse after sun exposure. Worse around mid-morning (10 am). Better when alone in a quiet place. Craves salt and is often very thirst. This remedy indicated for high blood pressure due to overeating. The digestive system is affected. Irritable, competitive by nature, eats fast, frequent gastric upsets. Sensitive, suggestible and sympathetic person. Tendency toward weakness. Dizziness, a “spaced-out” feeling and fearfulness. Nosebleeds. Facial flushing. 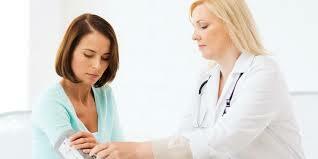 Palpitations and feeling of heaviness or pain in the chest Left-sided problems are often seen. Strong desire for cold drinks and refreshing thing. Marked improvement after eating and sleeping. Warm blooded person. Good appetite, thirsty. Social and outgoing. Desires alcohol. Usually early risers. This remedy helps calm cardiac palpitations. It lowers arterial tension, and treats atrial fibrillation. Arg-n: If blood pressure rises with anxiety and nervousness, this remedy may be indicated. “Stage fright” or anticipation of a stressful event can bring on dizziness, headache, diarrhea, and a pounding pulse. People who need this remedy are typically warm-blooded, imaginative, impulsive, claustrophobic, and have cravings for sweets and salt. Calc-c: This remedy is often helpful to people with high blood pressure who easily tire and have poor stamina. They are typically responsible types who feel overwhelmed when ill and fear a breakdown. Palpitations and breathing problems can be worse from walking up a slope or stairs, and also when lying down. A general chilliness with clammy hands and feet (the feet may heat up in bed at night) and sweat on the head during sleep are other indicators. The person may have cravings for sweets and eggs, and tend toward weight problems. Glonoinum: A flushed face with a pounding headache and visible throbbing in the blood vessels of the neck may indicate a need for this remedy. The chest can feel congested or hot, with a pounding or irregular heartbeat. The person is worse after moving around, heat and sun exposure, and drinking alcohol. A feeling of “being lost in a familiar place” is a strong indicator for this remedy. Nat-mur: A person who needs this remedy seems reserved and responsible, but may have strong feelings (of grief, disappointment, anger, grudges, a fear of misfortune) inside. Headaches and palpitations are common, as well as a feeling of tension (even coldness) in the chest. The person feels worse after sun exposure, worse around mid-morning, and better when alone in a quiet place. A craving for salt and strong thirst can help to confirm this remedy choice. Phos: A person who needs this remedy is usually sensitive, suggestible, and sympathetic, with a tendency toward weakness, dizziness, a “spaced-out” feeling, and fearfulness. Nosebleeds, facial flushing, palpitations, feelings of heaviness or pain in the chest, and left-sided problems are often seen. A strong desire for cold drinks and refreshing things, and a marked improvement after eating and sleeping are other indicators for Phosphorus.